Hi, everyone! I’m so excited to finally be able to let you in on a little sneak peek into our upcoming September Collection. You’ll see this month we start to really welcome the peak of the Fall season with some deeper hues, beautiful new prints, and longer sleeves and lots of layers. This release is a continuation of our Choose Your Own Path story. We were really inspired by all the characteristics of girlhood – curiosity, braveness, strength, and kindness. These are things we hope she carries with her always as she explores and finds her own path in this world. We loved them so much, we even created some adorable little creatures to go along with each one. You’ll see these a lot this month as we tell our seasonal story – and next month too, as they even pop up on some October items! In this September release, there is a big focus on fall florals, which are so beautiful in those deeper, rich Fall colors. This collection has a really big print story, too, which gives her lots of opportunity for self expression. We love that! We really want her to be herself in our clothes and encourage her to be the best girl she can be. Everything in the collection mixes so well together, and we have a lot of family looks in this release. We love when mom, daughter, and sisters all look great together. Being part of those family photos and events is so special to us. Overall, this release is all about exploration. There is so much variety – in terms of new colors and prints and styles. Whether she’s a super twirly little girl who likes the super-soft knit floral dresses or more of tomboy who feels best in a fun graphic tee and overalls, we wanted to have something for every one of your gals. I hope you love it all as much as we do! It all arrives September 1. When is the MJ warehouse sale in Fort Wayne IN /Coliseum? I love all buttons & fabrics! My granddaughter wears so many outfits….one is cuter than the next! When is the Matilda Jane warehouse sale in Fort Wayne IN? 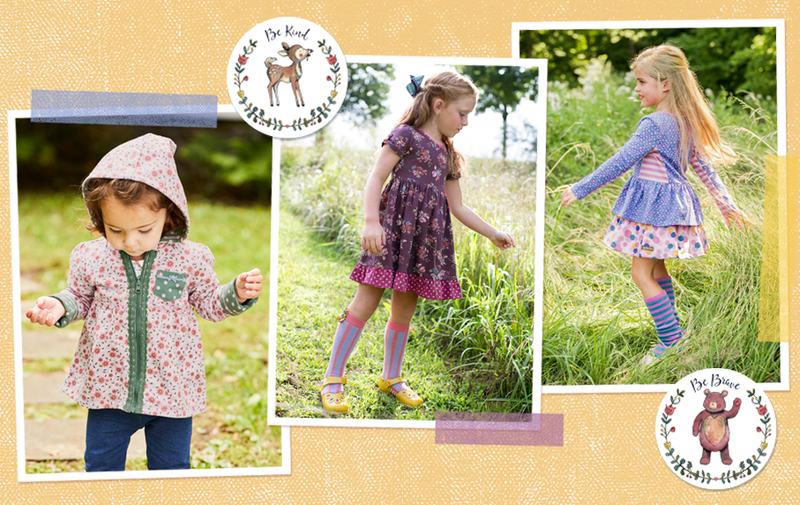 Love all the fabrics & buttons! My granddaughter wears so much of MJ! I need to know when the medium ladies yellowish print dress will be available …I want it. 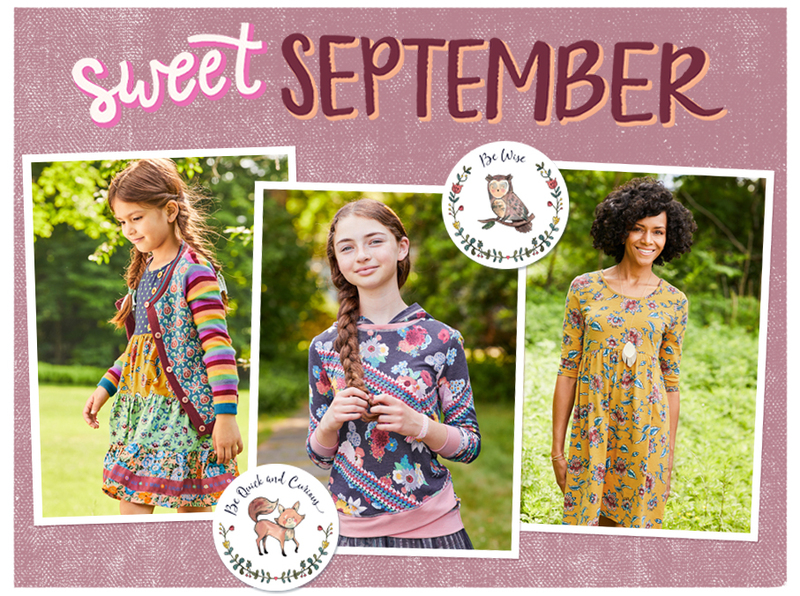 Love these stylish clothes..very cute and whimsical…like notes playing on a cool fall breeze! Wow! This takes me back to when my daughter wore these clothes. Now going on 15. 🙁 my granddaughter is wearing it and my dil is my tker. I do miss my old friends and chatting with them. Watching for Denise blogs. She was such a wonderful soul. God bless her!! I absolutely love Matilda Jane stuff!!! Love how soft the clothes feel. © 2019 Matilda Jane Clothing Rocks|ProPhoto Photo Blog by NetRivet, Inc.